New samurai swords were tested on prisoners - live human beings! 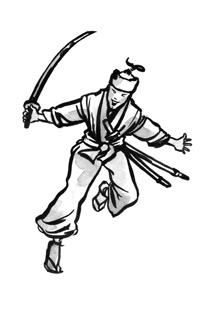 The point of a samurai sword is called the kissaki. It is the hardest part to forge and often determines the overall quality. 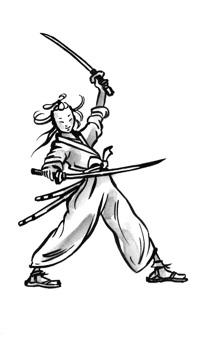 Samurai gave their swords names as they believed the sword contained their warrior spirit. Darth Vader's costume in Star Wars was inspired by samurai armour. 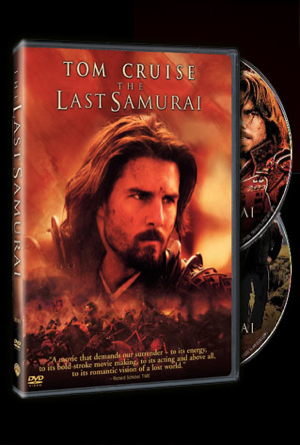 Released in 2003, the Last Samurai, starring Tom Cruise and Ken Watanabe is the story of an American army captain and a samurai warrior at a time when the Japanese emperor is looking towards Westernisation. 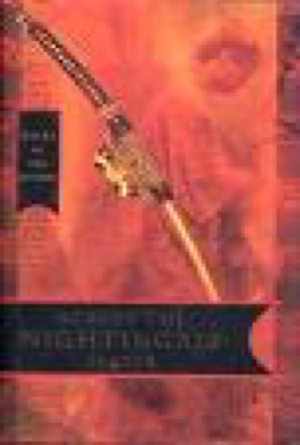 The Emperor employs Algren to train his army and to help eradicate the samurai. But Algen soon finds his heart is with the enemy. Akira Kurosawa's The Seven Samurai (1954)is considered one of the most influential films ever made. It still tops polls and is one of the few Japansese films well known in the West. It follows the story of a village of farmers that hires seven masterless samurai (ronin) to combat bandits intending to steal their crops. My favourites are The Plum Rain Scroll by Ruth Manly Hopkins (CBCA Book of the Year 1978) and The Tales of the Otori series by Lian Hearn. 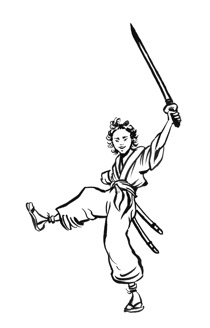 Other recent titles are Samurai by Jason Hightman (Simon St George and the samurai battle against evil dragons) and Samurai Shortstop by Alan Gratz (Toyo learns to use baseball and the values of the samurai). 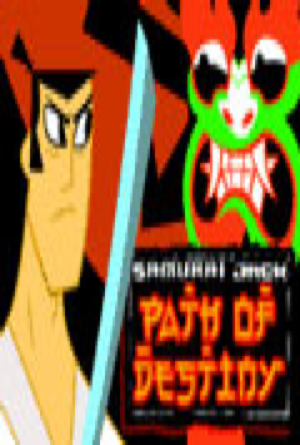 Samurai Jack (2001-2004) is shown on Cartoon Network. A young boy is sent away to train as a samurai warrior so he can save his people from the evil brought to the land by the shape-shifter Aku. Now an adult, the 'boy' returns to be flung into the future through a time portal. The locals call him "Jack" and help him in his quest to return to the past and undo Aku's evil. 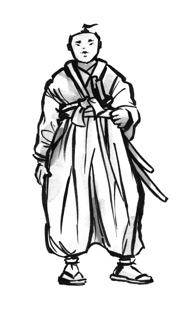 There are lots of samurai based clips on YouTube. The ones I enjoy best are the re-enactments. 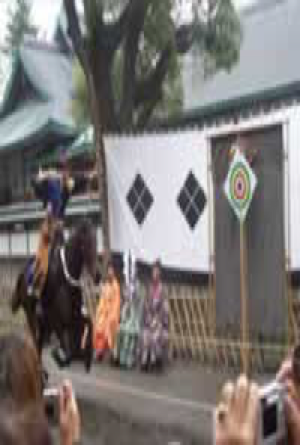 Try this one for the Takeda School of Mounted Archery. 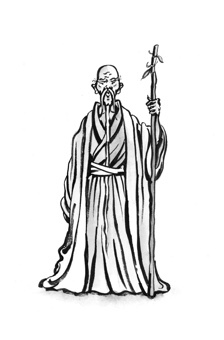 You can hear a shakuhachi flute on Linkin Park's 2003 album Meteora, Nobody's Listening. The film score for Jurassic Park contains shakuhachi music. 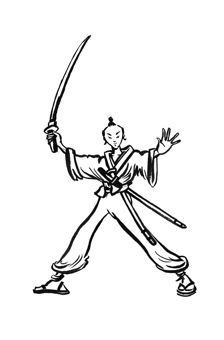 In addition to the popular cartoon Samurai Jack, Australia was entranced by The Samurai TV series which first aired in 1962. 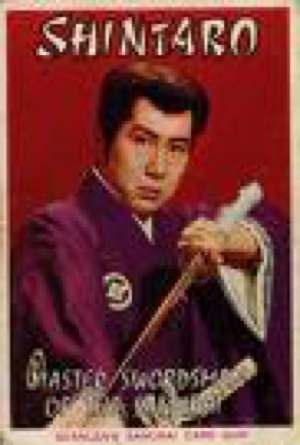 Still screened in the 80s it maintained a huge following and Shintaro was a popular bubble gum card figure.